Over the course of the last three days violence has erupted in the streets of Egypt and there have been reports of people set on fire and at least 15 deaths in the last 24 hours. The people believe, rightly so, that Egyptian military has co-opted all their hard work in a constitutional coup d’état. 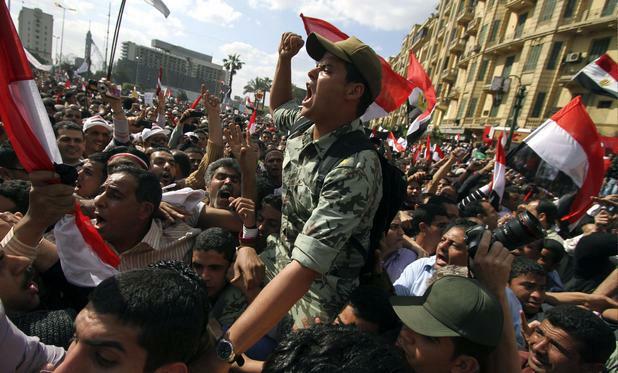 The parliamentary election on the November 28th offers little hope for the occupiers of Tahrir Square. The provisions themselves insure that the looming presence of Egypt‘s military industrial complex will never see an end. And regardless of any parliamentary changes the Egyptian people will never see democratic self-determination. We at Soldiers of the Cause have a continuing open letter to Egyptian active duty and inactive military personnel. Join us. Join the Egyptian people. Passively resist.